I love this little friend called Monthlyinfo. 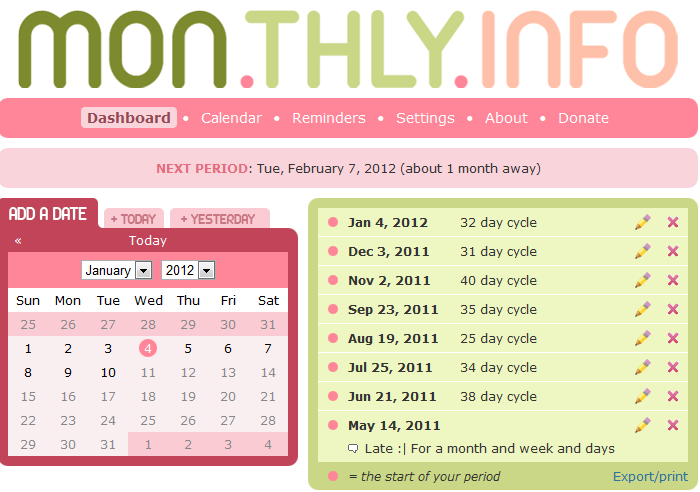 A free, online period tracker that tells you what your body is up to. Kind of like when you first got your period and meticulously put little x’es in your diary, but then you got too old and started forgetting and now you’re a teeny little bit surprised every time. Plus, neat features that tell you where you are in your cycle. Like, right now, my follicle is maturing and soon I will be ovulating. Dude, that’s fascinating.